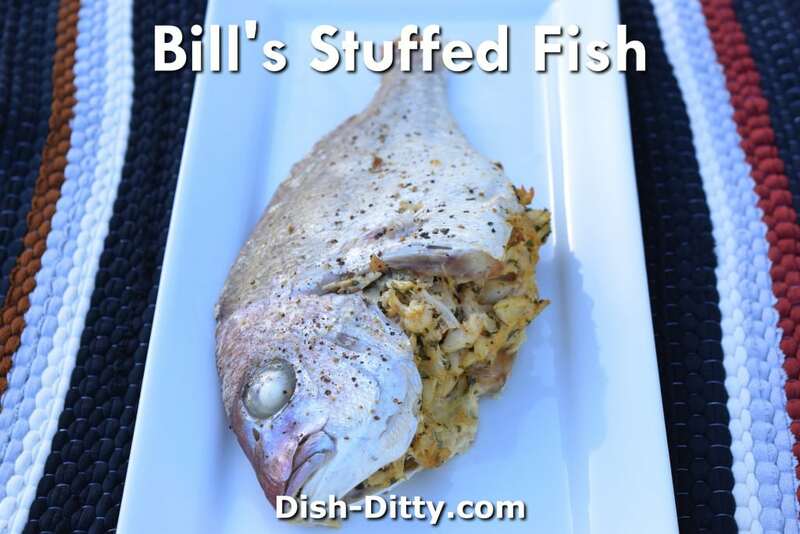 Bill’s Stuffed Whole Fish Recipe is a wonderful meal for 2-3 people (depending on the size of your fish) . 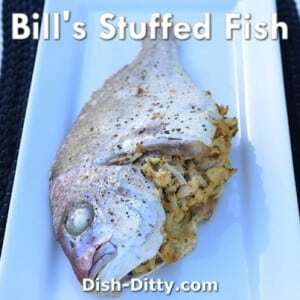 You can also serve the same recipe without the fish head for those who are squeamish. 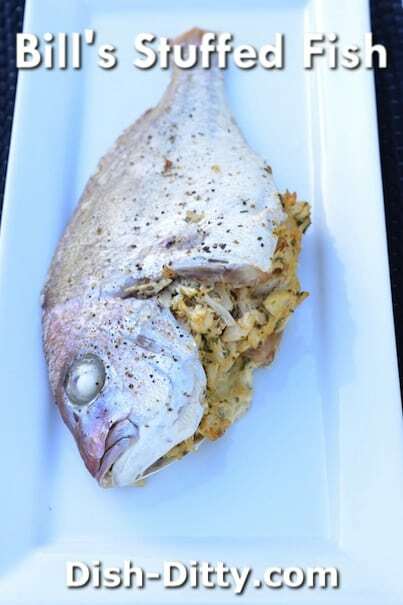 Another one of my father’s go-to recipes, this whole fish recipe is very simple to prepare (once you scale and clean the fish). You can use this same recipe with fish filets and instead of stuffing the fish, you can roll it. Start by clipping the fins and removing all the scales. Thoroughly clean and rinse. Dry well with a towel. In a medium sized bowl, combine eggs, mayonnaise, old bay, dry mustard, cayenne pepper, parsley, Worcestershire sauce, baking powder and black pepper. Mix well. Add in the white bread and again, mix well. Lightly FOLD in the blue crab. Do not mix to the point where you break the crab up completely. Stuff the crab into the cavity of the fish. Rub olive oil all over the outside of the fish and sprinkle fish with salt and fresh ground pepper. Place in a lightly oiled pan and bake at 350 degrees for 1 hour, or until filling is cooked through. 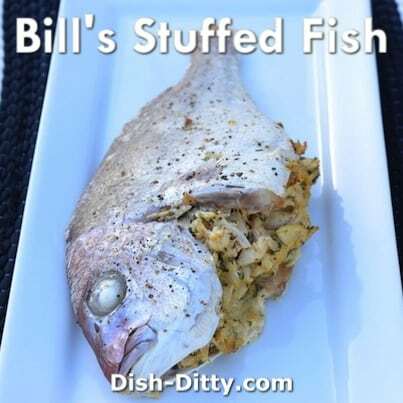 No Replies to "Bill's Stuffed Whole Fish Recipe"